When planning to send someone flowers, two of the factors you should always consider are the value of what you're getting and the price involved. Compared to most gifts, flowers are inexpensive and well-received by all, and so make an ideal choice for any occasion. When deciding where to get them, it is a wise idea to select a professional florist's offerings over the cheap flowers at a supermarket. Florists are committed to bringing you the best quality flowers to send to your loved ones. They try to minimize the cost to you while at the same time providing beautiful bouquets and arrangements. 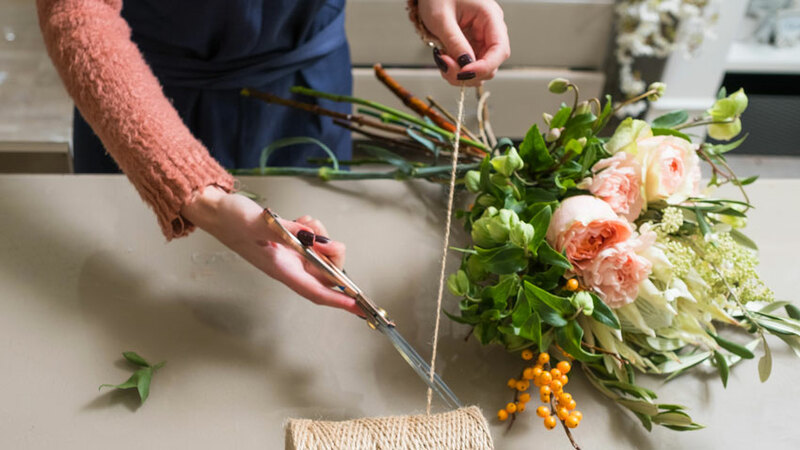 With a professional florist, you might end up paying a few more dollars than you would for the cheap arrangements grocery stores offer, but that's not exactly a bad thing. The cheap flowers you get at the supermarket aren't usually fresh, and end up dying within two or three days of bringing them home. Not something you want to send your mother or valentine! The flowers you send someone from a florist will stay alive for a week or more, greatly increasing their worth. In addition, they have the advantage of being prepared by floral arrangers with years of experience. The cheap flowers at a market cannot boast the same. The popular idea that cheap is better has resulted in such things as plastic electronics that stop working after a few months, or cars that need to be repaired three times a year. You wouldn't want to be given a cheap gift, so keep that in mind when you send flowers to someone. One of the greatest things about a professional florist is that you can send deliveries to international locations at a low cost. The cheap flowers from the market can't be sent the same way without tacking on a huge shipping fee from an independent courier. When you send a bouquet to a wedding or funeral service, only the best will do. Cheap flowers from the market wouldn't be suited to either event. When you buy from a florist, you pay for quality. What you send to such an event can have a profound impact on those present. Send a beautiful bouquet to the bride, and her day will be even more enjoyable. Send one to a funeral, and it will help alleviate the pain of someone's loss. You can likely tell that sending a cheap potted plant wouldn't go over very well! As you can see, what is cheap is not usually the best choice, especially where floral arrangements are concerned! Always look for quality and value, and ask your florist about the delivery charges incurred; the good ones will always reveal where your money is going, and the value you'll be receiving in the end.